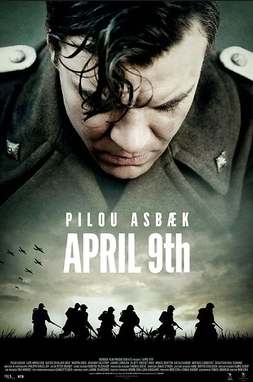 This entry was posted in History, Movie, Reviews, Trailer, True Story, Uncategorized, War Movie, WWII and tagged 9.April, April 9th, Danish Movie, History, Lars Mikkelsen, Movies, Pilou Asbæk, Review, True Story, War Movies, WWII. I’ll have to see if I can find this. On another note I just started the Norwegian series Occupied/Okkupert last night. I haven’t seen that. Will have to hunt it. Thanks. I’m thinking it could qualify as a war film. I’ve been a fan of your uploads. Thanks! Keep it up. PS. If your want to try a new free image hosting sites. Check out https://imgcave.com Thanks! Thanks for your comment. It’s good to hear.